Carol Wior Swimsuit with Control! 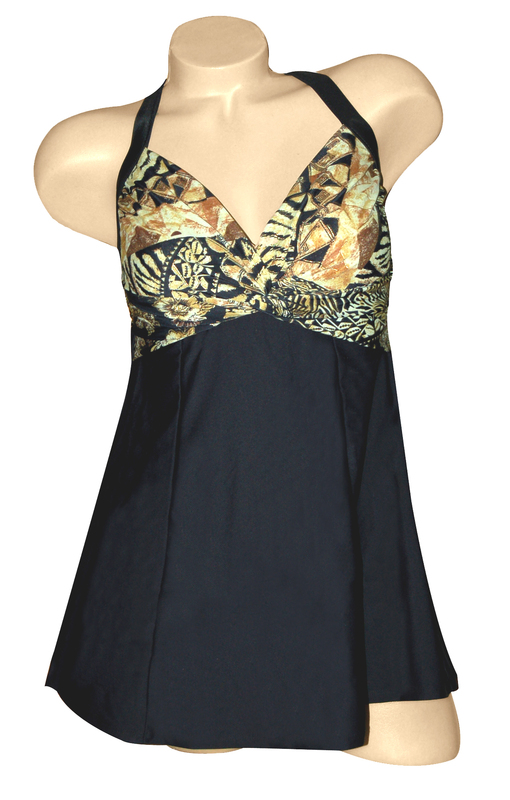 This best selling style gets updated in a gorgeous exotic batik print paired with black. Twist front top with side shirring enhances the bust while underwire bra with soft foam cups offers excellent bust support. Princess seamed empire waist skirt minimizes hips and thighs. All around control inner lining takes and inch or more off your waist and tummy instantly!